For a very long time now mineral makeup formulators have used terms like micronized minerals and non micronized minerals. 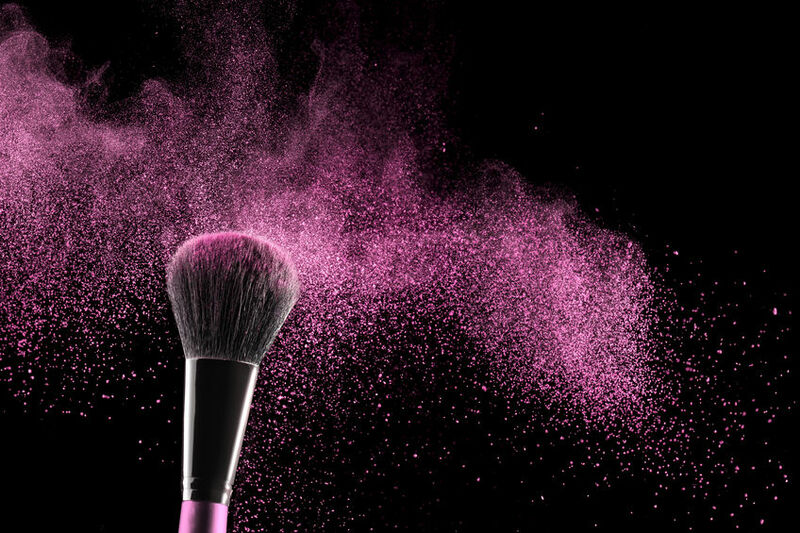 These are the terms of how mineral makeup ingredients have been described for determining the best option for coverage and health safety. But in an era of much confusion over cosmetic ingredients, it is more vital than ever to convey accurately the scientific differences or variations of the same ingredient. The fact of the matter is, all mineral makeup is micronized for consistency, ease of flow, and to achieve level of application best suited for the best coverage. Micronized minerals has really been about describing micron size of the particles and were considered to have less whitening effect on the skin, whereby producing less pigment. It was easier to ascribe to the theory when you were buying micronized minerals which were commonly referred to as TiO2 (Titanium Dioxide) or micronized ZnO or Z-cote (Zinc Oxide), that these were the mineral equivalent to a tiny micron particle size. These are also referred to as sub micron or nano scale of 0.25-0.30 more or less, and these are equal to 250-300 nanometers. This size is literally below an actual single micron. Non-micronized would then define mineral cosmetics as being 3 microns or larger, typically being similar to our micron size. Our minerals for example, range from 5-10 microns or equivalent to 5000-10,000 nanometers. So by accurate definition ours can also be considered micronized, but they are not nano scale due to the finished size of the micron particles, offering more of the whitening effect, providing more pigment which creates better coverage. TiO2 and ZnO are simply the chemical compound descriptions for Titanium Dioxide and Zinc Oxide and shouldn't necessarily be used to identify the variation in micron particles. This descriptive is still being used by chemical companies today providing these raw ingredients to formulators in order to illustrate the micron size difference, innaccurate as it is. However, today you'll see more descriptions such as "no nano sized particles used" or "does not contain nano scale particles" as the way to actually determine what grade of micronized powders are being utilized. Also, the micron size determines coverage of your mineral makeup. If a company uses nano particles in their mineral makeup application, then the coverage will be quite sheer as in the case of many liquid sunscreens that contain titanium dioxide and zinc oxide in order to avoid the whitening effect these ingredients can cause. Larger particle size equates to better coverage and it is why using nano scale particles isn't really conducive to the needs of the mineral makeup wearer, and to be completely accurate, is why our micronized minerals are not nano scale. However, there is one small wrinkle with this analogy, sheer coverage can also be obtained by reducing the ingredients Titanium Dioxide and Zinc Oxide in the overall formulation. It should be known though that ZO has less whitening capacity than that of TD. Therefore sheerness in coverage isn't always a determining factor of micron size. So, if size does matter and to know conclusively, the question really should be, "does our mineral makeup contain nano scale particles?" Which we are happy to state resoundingly, "NO."